There are a number of instances in which land clearing is necessary for access to a specific area, such as a pipeline, or utility line. A pipeline right of way is a specific parcel of land where pipelines are installed either above ground or underground, in which the utility companies are given the right to have access to the land in order to inspect and maintain their equipment. With the growing oil and gas industry in Western Pennsylvania, it is crucial that pipelines are not only built quickly but efficiently, in order to make them cost-effective. Proper land clearing is essential to not only gaining access to necessary facilities but to have new pipelines installed in a timely manner. 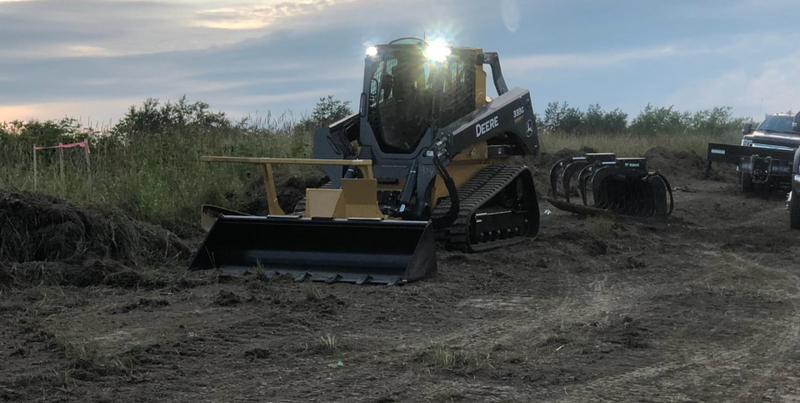 Land clearing generally involves the mowing the area and removing any trees, shrubs, or other debris that could restrict access or obstruct the area. Once the land has been cleared, it needs to be prepared for the installation of new pipelines. Properly preparing the site includes addressing a number of details as well as careful planning. The experts at 20/20 Landscaping have the equipment, the expertise, and the experience to ensure that the site is properly prepared, and is committed to completing each project within the designated time frame. Utility companies and the oil & gas industry rely heavily on efficiency and accuracy in land clearing and site rehabilitation projects. Trust the professional team at 20/20 Landscaping to provide superior services throughout the Greater Pittsburgh area. Request a free quote from above or call 412-960-5060 to get started.